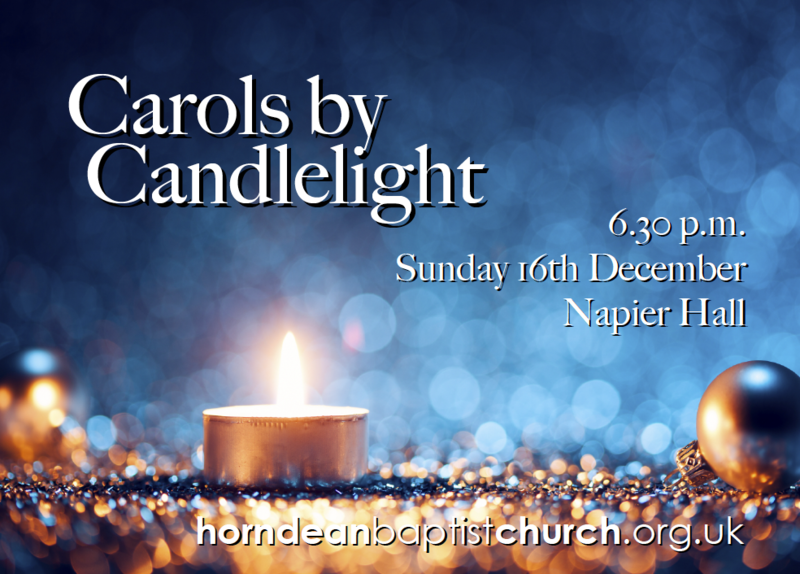 Sunday 16 December: 6.30 p.m. Carols by Candlelight at Napier Hall. 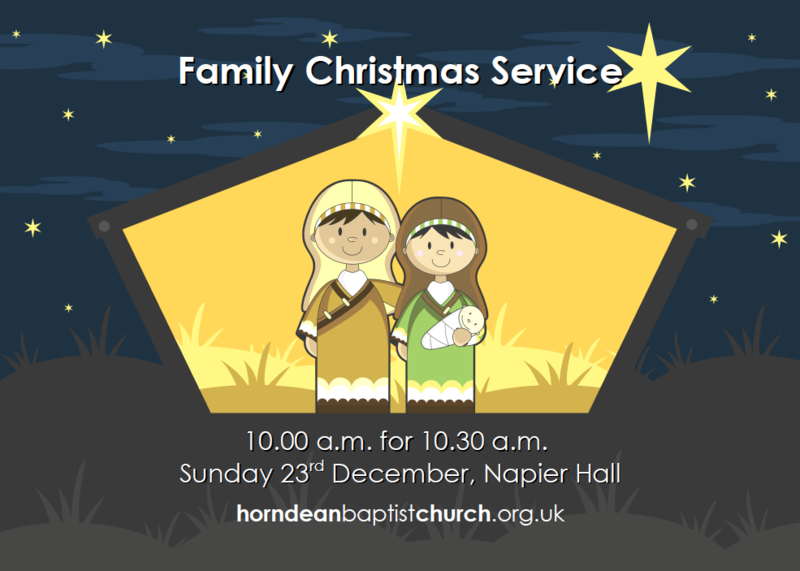 Sunday 23 December: 10 a.m. for 10.30 a.m. Family Christmas Service at Napier Hall. Tuesday 25 December: 10.30 a.m. Christmas Day Service at Napier Hall. Sunday 30 December: No Service. For more information, call our Children and Families Leader, Hannah Lowry, on 07934 609648 or email her at hannah.lowry@horndeanbaptistchurch.org.uk.